Health is something we take for granted until we lose it. Once we do, it’s hard to get it back. It’s possible, but requires a huge effort and people rarely succeed in fully restoring the health they’ve squandered through years of neglect. People with chronic illnesses regret losing their health. A much better plan is to make health a priority today. One reason people neglect their health is not due to sloth and unreliability, but for just the opposite reason: they are extremely motivated to be wealthy and successful. Here are four examples where the quest for wealth preempts the quest for good health. Risk taking is often necessary to create wealth. 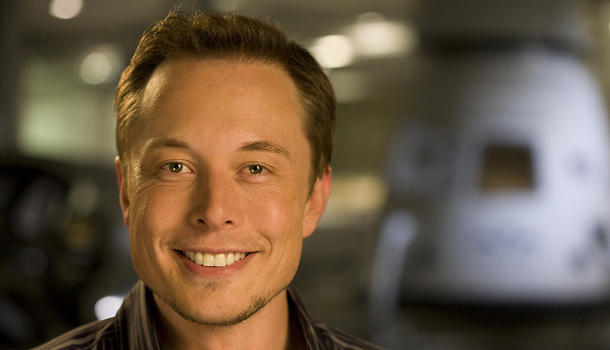 If Elon Musk had not bet all his money on Space X after three rockets failed, the fourth rocket would not have been a success and he would not have got the billion dollar contract with NASA. Now that’s risk; staking all the money you have on something you’re not sure will work out, especially if you’ve already failed spectacularly three times. Unfortunately, that same risk-taking attitude also carries over to behavior not related to wealth-creation. A foolish risk can be anything from driving like a maniac to substance abuse. Drinking, smoking, and drugs are self-destructive choices used to alleviate emotional pain. Cigarettes may soothe your nerves, but they also destroy your lung capacity. Instead of bounding up hills on an exercise trail, you’ll be wheezing up a flight of stairs. Alcohol may help you unwind after a hard day’s work or a particularly stressful experience –and even ultra successful James Bond needs “a Martini, shaken but not stirred” after a rough day–but it damages brain and liver cells. In other words, the emotional or social rewards of imbibing or inhaling toxins are not worth the cellular damage and long-term decline in mental and physical health. Since the body is naturally resilient, you can abuse it for years without noticing any side effects; then, when your immune system starts to slow down, your health starts falling apart quickly. Using alarm clocks is a violent way of living, and you should train your body to wake up when it’s refreshed. Your body has a natural rhythm and you have to sleep for as long as it takes for it to recover fully. Find the perfect number of hours you need to rest and then build that into your lifestyle. Often people who are motivated to be successful pride themselves on getting up at 4 am or 5am because “they want to become successful before the world wakes up. “ This success credo is hammered into them when they go to success seminars. They hear success stories of people who go to bed late and wake up early and enjoy impressive success. They get inspired by hearing about people who step into their running shoes before they step into their bedroom slippers or who pound weights before the sun rises. While some people do need less sleep than others and it is a wonderful thing to get more hours in the day, if you are not one of these natural early risers and exercisers, depriving yourself of sleep and shocking your body with hard exercise before its ready will not enhance your natural well being. You can save time by resting less, but sleep loss messes up your body’s attempts to regulate your hormones, reduced inflammation, and repair cellular damage. You can be successful without going to extremes. Do what works for your body instead of following some success ethic that does not suit you. Create your own success system instead of blindly following the advice that works for the successful people who promote it. A tried-and-true wealth technique is to spend less than you earn, save the difference, and invest it. This results in a habit of becoming a little too frugal with your money. You can save money by buying fruits and vegetables grown with herbicides and pesticides and you can save even more money by not buying healthy foods at all. You can save money by not buying vitamin and mineral supplements. You can save money by not joining a gym or aerobics class. You can save money by choosing to get little to no health insurance, but you can still get affordable health insurance. However, making wise choices will always save you more than just trying to find the cheapest way out. One reason why someone focused on building wealth may not get insurance is because they are running their own business, and it may be difficult as an entrepreneur to get insurance. The company USH Advisors says that “healthcare shoppers may find an attractive alternative in the ‘fixed-rate’ products.” Basically, this means that you can cut down on cost by only paying for the coverage you need. Remember, while frugality is a good thing, carried to an extreme, a point where it undermines your health, it is false economy. Busy and successful people often think of cooking as a waste of time. After all, they could simply pour out some pre-made food out of a package and have a meal in minutes. Here’s the thing: there is no substitute for fresh cooked food. Ideally, eat raw foods as much as possible, but besides fruits, vegetables, nut, and seeds, you do need to cook your carbohydrates, fish, and meats. It may take time out of your day to prepare your own foods, but it is not a waste of time. While there is nothing wrong with the pursuit of wealth and success, after all nobody wants to be poor and a failure, you should also consider health to be a form of wealth and success in life. It’s wonderful to have financial security, but it’s just as important to have astonishingly good health. The bottom line here is that you don’t want to be too ill to enjoy the rewards of your prosperity, and you don’t want to be the richest person in the graveyard. You can, actually, have both a healthy lifestyle and a wealthy pocketbook. The solution is to be sensible and make sure you have balance in your life.